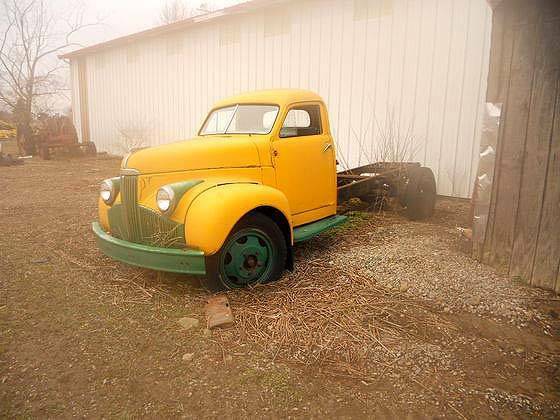 Great Old Truck Cab Photo Picture Classic Cars for sale & Classifieds - Buy Sell Classic Car & Classic Truck Classifieds. I love old Studes. I have a 59 Lark right now. I built a nice truck like this one about 10 years ago. I put it on an S10 Chevy frame and it was a great driver. It's still on the road today. The body is in great shape on this one. Hope it gets saved. Studebaker, very nice. Looks like they took the work body off and parked the cabnchassis once it wore out. Some guys in the Stude Club here in CO would love to get hold of this. It looks like it was started on and then??? ?